Tween boys will find plenty of encouragement for their walk with God in this one-year book of devotions. Every day of the year is covered with relevant, age-friendly reflections and Bible verses. A great way to build up young disciples of Jesus! Ages 8-12. 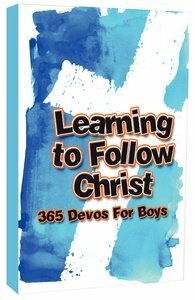 About "Learning to Follow Christ: 365 Devo's For Boys"